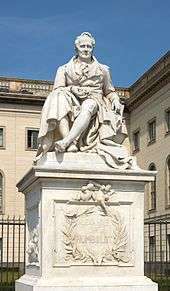 Friedrich Wilhelm Heinrich Alexander von Humboldt ( listen ; 14 September 1769 – 6 May 1859) was a Prussian geographer, naturalist, explorer, and influential proponent of Romantic philosophy and science. He was the younger brother of the Prussian minister, philosopher, and linguist Wilhelm von Humboldt (1767–1835). Humboldt's quantitative work on botanical geography laid the foundation for the field of biogeography. Humboldt's advocacy of long-term systematic geophysical measurement laid the foundation for modern geomagnetic and meteorological monitoring. Between 1799 and 1804, Humboldt travelled extensively in Latin America, exploring and describing it for the first time from a modern scientific point of view. His description of the journey was written up and published in an enormous set of volumes over 21 years. 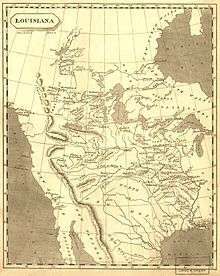 Humboldt was one of the first people to propose that the lands bordering the Atlantic Ocean were once joined (South America and Africa in particular). Humboldt resurrected the use of the word cosmos from the ancient Greek and assigned it to his multi-volume treatise, Kosmos, in which he sought to unify diverse branches of scientific knowledge and culture. This important work also motivated a holistic perception of the universe as one interacting entity. Due to his youthful penchant for collecting and labeling plants, shells and insects, Alexander received the playful title of "the little apothecary". Marked for a political career, Alexander studied finance for six months in 1787 at the University of Frankfurt (Oder), which his mother might have chosen less for its academic excellence as its closeness to their home in Berlin On April 25, 1789, he matriculated at Göttingen, then known for the lectures of C. G. Heyne and anatomist J. F. Blumenbach. His brother Wilhelm was already a student at Göttingen, but they did not interact much since their intellectual interests were quite different. His vast and varied interests were by this time fully developed. Humboldt would often return to Jena in the years that followed. Goethe remarked about Humboldt to friends that he had never met someone so versatile. Humboldt's drive served as an inspiration for Goethe. In 1797, Humboldt returned to Jena for three months. During this time Goethe moved from his residence in Weimar to reside in Jena. Together Humboldt and Goethe would attend university lectures on anatomy and conduct their own experiments. 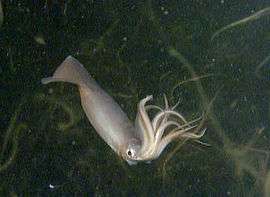 One experiment involved hooking up a frog leg to various metals. They found no effect until the moisture of Humboldt's breath triggered a reaction that caused the frog leg to leap off the table. Humboldt would describe this as one of his favorite experiments because it was as if he was "breathing life into" the leg. With the financial resources to finance his scientific travels, he sought a ship on a major expedition. Meantime, he went to Paris where his brother Wilhelm was now living. Paris was a great center of scientific learning and his brother and sister-in-law Caroline were well connected in those circles. Louis-Antoine de Bougainville urged Humboldt to accompany him on a major expedition, likely to last five years, but the French revolutionary Directoire placed Nicolas Baudin at the head of it rather than the aging scientific traveler. On the postponement of Captain Baudin's proposed voyage of circumnavigation due to continuing warfare in Europe, which Humboldt had been officially invited to accompany, Humboldt was deeply disappointed. He had already selected scientific instruments for his voyage. He did, however, have a stroke of luck with meeting Aimé Bonpland, the botanist and physician for the voyage. Discouraged the two left Paris for Marseilles, where they hoped to join Napoleon Bonaparte in Egypt. But North Africans were in revolt against the French invasion in Egypt and French authorities refused permission to travel. Humboldt and Bonpland eventually found their way to Madrid, where their luck changed spectacularly. 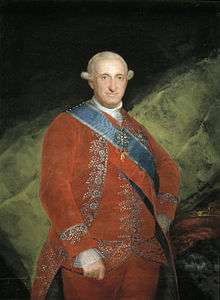 In Madrid, Humboldt sought authorization to travel to Spain's realms in the Americas; he was aided in obtaining it by the German representative of Saxony at the royal Bourbon court. Baron Forell had an interest in mineralogy and science endeavors and inclined to help Humboldt. Humboldt's timing could not have been better to interest the Spanish crown in an extended scientific expedition to their possessions in the New World. With the accession of the House of Bourbon to the Spanish throne following the death of the last Hapsburg king, Charles II (d. 1700), and the War of the Spanish Succession, which the House of Bourbon won, the Spanish Bourbons embarked on a program of reform in Spain and then Spanish America. The Bourbon Reforms sought to reform administration of the realms and revitalize their economies. At the same time as the Bourbon reforms, the Spanish Enlightenment was in florescence. For Humboldt, "the confluent effect of the Bourbon revolution in government and the Spanish Enlightenment had created ideal conditions for his venture." When Humboldt requested authorization from the crown to travel to Spanish America, most importantly, with his own financing, it was given positive response. Spain under the Hapsburg monarchy had guarded its realms against foreigner travelers and intruders. The Bourbon monarch was open to Humboldt's proposal. 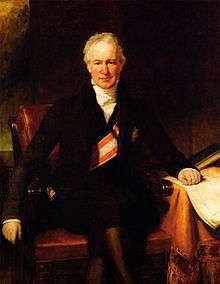 Spanish Foreign Minister Don Mariano Luis de Urquijo received the formal proposal and Humboldt was presented to the monarch in March 1799. Humboldt was granted access to crown officials and written documentation on Spain's empire. With Humboldt's experience working as for the absolutist Prussian monarchy as a government mining official, Humboldt had both the academic training and experience of working well within a bureaucratic structure. 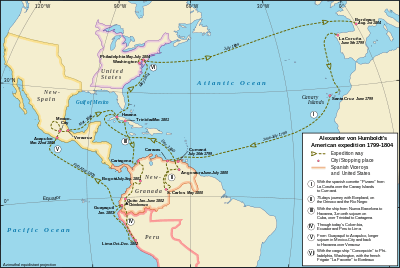 The ship's destination was not originally Cunamá, but an outbreak of typhoid on board so that the captain changed course from Havana to land in northern South America. Humboldt had not mapped out a specific plan of exploration, so that the change did not upend a fixed itinerary. He later wrote that the diversion to Venezuela made possible his explorations along the Orinoco River to the border of Portuguese Brazil. With the diversion, the Pizarro encounter two large dugout canoes each carrying 18 Guayaqui Indians. The Pizarro's, captain accepted the offer of one of them to serve as pilot. Humboldt hired this Indian, named Carlos del Pino, as a guide. Venezuela from the sixteenth century to the eighteenth was a relative backwater compared to the seats of the Spanish viceroyalties based in New Spain (Mexico) and Peru, but during the Bourbon reforms, the northern portion of Spanish South America was reorganized administratively, with the 1777 establishment of a Captaincy-General based at Caracas. A great deal of information on the new jurisdiction had already been compiled by François de Pons and published in 1806. Rather than describe the administrative center of Caracas, Humboldt started his researches with the valley of Aragua where export crops of sugar, coffee, cacao, and cotton were cultivated. Cacao plantations were the most profitable as world demand for chocolate rose. Humboldt visited the mission at Caripe and explored the Guácharo cavern, where he found the oilbird, which he was to make known to science as Steatornis caripensis. Returning to Cumaná, Humboldt observed, on the night of 11–12 November, a remarkable meteor shower (the Leonids). He proceeded with Bonpland to Caracas where he climbed the Avila mount with the young poet Andrés Bello, the former tutor of Simón Bolívar, who later became the leader of independence in northern South America. Humboldt met the Venezuelan Bolívar himself in 1804 in Paris and spent time with him in Rome. The documentary record does not support the supposition that Humboldt inspired Bolívar to participate in the struggle for independence, but it does indicate Bolívar's admiration for Humboldt's production of new knowledge on Spanish America. In February 1800, Humboldt and Bonpland left the coast with the purpose of exploring the course of the Orinoco River and its tributaries. This trip, which lasted four months and covered 1,725 miles (2,776 km) of wild and largely uninhabited country, had the important result of establishing the existence of the Casiquiare canal (a communication between the water-systems of the rivers Orinoco and Amazon), and of determining the exact position of the bifurcation, as well as documenting the life of several native tribes such as the Maipures and their extinct rivals the Atures (several words of the latter tribe were transferred to Humboldt by one parrot). Around 19 March 1800, Humboldt and Bonpland discovered dangerous electric eels, whose shock could kill a man. To catch them, locals suggested they drive wild horses into the river, which brought the eels out from the river mud, and resulted in a violent confrontation of eels and horses, some of which died. Humboldt and Bonpland captured and dissected some eels, which retained their ability to shock; both received potentially dangerous electric shocks during their investigations. The encounter made Humboldt think more deeply about electricity and magnetism, typical of his ability to extrapolate from an observation more general principles. Humboldt returned to the incident in several of his later writings, including his travelogue Personal Narrative (1814–29), Views of Nature (1807), and Aspects of Nature (1849). On 24 November 1800, the two friends set sail for Cuba, landing on December 19, where they met fellow botanist and plant collector John Fraser. Fraser and his son had been shipwrecked off the Cuban coast, and did not have a license to be in the Spanish Indies. Humboldt, who was already in Cuba, interceded with crown officials in Havana, as well as giving them money and clothing. Fraser obtained permission to remain in Cuba and explore. Humboldt entrusted Fraser with taking two cases of Humboldt and Bonpland's botanical specimens to England when he returned, for eventual conveyance to the German botantist Willdenow in Berlin. Humboldt and Bonpland stayed in Cuba until March 5, 1801, when they left for the mainland of northern South America again on March 30, 1801. On their way back to Europe from Mexico on their way to the United States, Humboldt and Bonpland stopped again in Cuba, leaving from the port of Veracruz and arriving in Cuba on January 7, 1804 staying until April 29, 1804. In Cuba, he collected material plant material and made extensive notes. During his time he socialized with his scientific and landowner friends, conducted mineralogical surveys and finished his vast collection of the island's flora and fauna that he eventually published as Essai politique sur l'îsle de Cuba. 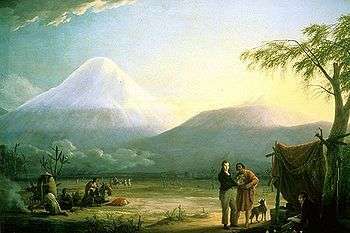 Humboldt and his fellow scientist Aimé Bonpland at the foot of the Chimborazo volcano, painting by Friedrich Georg Weitsch (1810). After their first stay in Cuba of three months they returned the mainland at Cartagena de Indias (now in Colombia), a major center of trade in northern South America. Ascending the swollen stream of the Magdalena River to Honda and arrived in Bogotá on July 6, 1801 where they met Spanish botanist José Celestino Mutis, the head of the Royal Botanical Expedition to New Granada, staying there until September 8, 1801. Mutis was generous with his time and gave Humboldt access to the huge pictorial record he had compiled since 1783. Mutis was based in Bogotá, but as with other Spanish expeditions, he had access to local knowledge and a workshop of artists, who created highly accurate and detailed images. This type of careful recording meant that even if specimens were not available to study at a distance, "because the images traveled, the botanists did not have to." Humboldt was astounded at Mutis's accomplishment; when Humboldt published his first volume on botany, he dedicated it to Mutis, "as a simply mark of our admiration and acknowledgement." 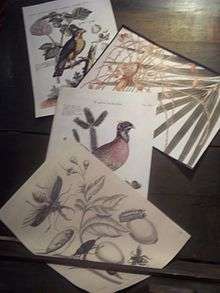 Illustrations from Spanish botanist José Celestino Mutis's work in Colombia. Humboldt had hopes of connecting with the French sailing expedition of Baudin, now finally underway, so Bonpland an Humboldt hurried to Ecuador. 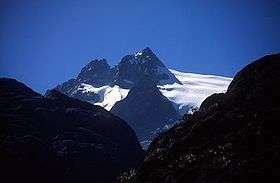 They crossed the frozen ridges of the Cordillera Real, they reached Quito on 6 January 1802, after a tedious and difficult journey. At Callao, the main port for Peru, Humboldt observed the transit of Mercury. On 9 November and studied the fertilizing properties of guano, rich in nitrogen, the subsequent introduction of which into Europe was due mainly to his writings. Humboldt and Bonpland had not intended to go to New Spain, but when they were unable to join a voyage via the Pacific, they left the Ecuador's port of Guayaquil, headed for Mexico's west coast port of Acapulco, landing February 15, 1803. Even before Humboldt and Bonpland started on their way to New Spain's capital on Mexico's central plateau, Humboldt realized the captain of the vessel that brought them to Acapulco had reckoned its location incorrectly. Since Acapulco was the main west coast port and the terminus of the Asian trade from the Spanish Philippines, having accurate maps of its location was extremely important. Humboldt set up his instruments, surveying the deep water bay of Acapulco, to determine its longitude. Humboldt and Bonpland arrived in Mexico City, having been officially welcomed via a letter from the king's representative in New Spain, Viceroy Don José de Iturrigaray. Humboldt was also given a special passport to travel throughout New Spain and letters of introduction to intendants, the highest officials in New Spain's administrative districts (intendancies). This official aid to Humboldt allowed him to have access to crown records, mines, landed estates, canals, and Mexican antiquities from the prehispanic era. Humboldt read the writings of Bishop-elect of the important diocese of Michoacan Manuel Abad y Queipo, a liberal, that were directed to the crown for the improvement of New Spain. Spanish America's ancient civilizations were a source of interest for Humboldt, who included images of Mexican manuscripts (or codices) and Inca ruins in his richly illustrated Vues des cordillères et monuments des peuples indigènes de l'Amerique (1810-1813), the most experimental of Humboldt's publications, since it does not have "a single ordering principle" but his opinions and contentions based on observation. For Humboldt, a key question was the influence of climate on the development of these civilizations. When he published his Vues des cordillères, he included a color image of the Aztec calendar stone, which had been discovered buried in the main plaza of Mexico City in 1790, along with select drawings of the Dresden codex and others he sought out later in European collections. His aim was to muster evidence that these pictorial and sculptural images could allow the reconstruction of prehispanic history. He sought out Mexican experts in the interpretation of sources from there, especially Antonio Pichardo, who was the literary executor of Antonio de León y Gama's work. For American-born Spaniards (creoles) who were seeking sources of pride in Mexico's ancient past, Humboldt's recognition of these ancient works and dissemination in his publications was a boon. He read the work of exiled Jesuit Francisco Javier Clavijero, which celebrated Mexico's prehispanic civilization, and which Humboldt invoked to counter the pejorative assertions about the new world by Buffon, de Pauw, and Raynal. Humboldt ultimately viewed both the prehispanic realms of Mexico and Peru as despotic and barbaric. However, he also drew attention to indigenous monuments and artifacts as cultural productions that had "both ... historical and artistic significance." 1804 Map of the Louisiana Territory. Jefferson and his cabinet sought information from Humboldt when he visited Washington, D.C., about Spain's territory in Mexico, now bordering the U.S.
Leaving from Cuba, Humboldt decided to take an unplanned trip to the United States. Knowing that the current U.S. president, Thomas Jefferson, was himself a scientist, Humboldt wrote to him saying that he would be in the United States. Jefferson warmly replied, inviting him to visit the White House in the nation's new capital. In his letter Humboldt had gained Jefferson's interest by mentioning that he had discovered mammoth teeth near the Equator. Jefferson had previously written that he believed mammoths had never lived so far south. Humboldt had also hinted at his knowledge of New Spain. Leaving from Cuba, Humboldt made a short visit to the United States, arriving in Philadelphia, which was a center of learning in the U.S. Humboldt met with some of the major scientific figures of the era, including chemist and anatomist Caspar Wistar, who pushed for compulsory smallpox vaccination, and botanist Benjamin Smith Barton, as well as physician Benjamin Rush, a signer of the Declaration of Independence, who wished to hear about cinchona bark from a South American tree, which cured fevers. 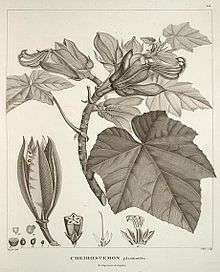 Humboldt later published a treatise in English on cinchona. After arriving in Washington D.C, Humboldt held numerous intense discussions with Jefferson on both scientific matters and also his year-long stay in New Spain. Jefferson had only recently concluded the Louisiana Purchase, which now placed New Spain on the southwest border of the United States. The Spanish minister in Washington, D.C. had declined to furnish the U.S. government with information about Spanish territories. Humboldt was able to supply Jefferson with the latest information on the population, trade agriculture and military of New Spain. This information would later be the basis for his Essay on the Political Kingdom of New Spain (1810). Jefferson was unsure of where the border of the newly purchased Louisiana was precisely and Humboldt wrote him a two page report on the matter. Jefferson would later refer to Humboldt as "the most scientific man of the age". Albert Gallatin, Secretary of the treasury said of Humboldt, "I was delighted and swallowed more information of various kinds in less than two hours than I had for two years past in all I had read or heard." Gallatin, in turn, supplied Humboldt with information he sought on the United States. Humboldt depicted by American artist Charles Willson Peale, 1805, who met Humboldt when he visited the U.S. in 1804. 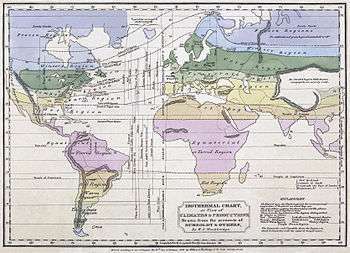 Isothermal map of the world using Humboldt's data by William Channing Woodbridge. 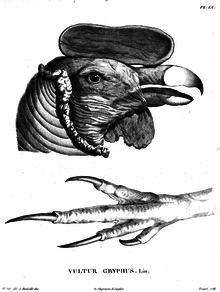 Humboldt's depiction of a gryphus vulture, an example of his detailed drawing. Humboldt conducted a census of the indigenous and European inhabitants in New Spain, publishing a schematized drawing of racial types and populations distribution, grouping them by region and social characteristics. He estimated the population to be six million individuals. He estimated Indians to be forty percent of New Spain's population, but their distribution being uneven; the most dense were in the center and south of Mexico, the least dense in the north. He presented these data in chart form, for easier understanding. He also surveyed the non-Indian population, categorized as Whites (Spaniards), Negroes, and castes (castas). American-born Spaniards, so-called creoles had been painting depictions of mixed-race family groupings in the eighteenth century, showing father of one racial category, mother of another, and the offspring in a third category in hierarchical order, so racial hierarchy was an essential way elites viewed Mexican society. Although American-born Spaniards were legally racial equals of those born in Spain, crown policy since the Bourbons took the Spanish throne privileged those born in Iberia. Humboldt observed that "the most miserable European, without education and without intellectual cultivation, thinks himself superior to whites born in the new continent." The enmity between the creoles and the peninsular-born whites increasingly became an issue in the late period of Spanish rule, with creoles increasingly alienated from the crown. Humboldt's assessment was that abuses royal government and the example of a new model of rule in the United States were eroded the unity of whites in New Spain. Humboldt's writings on race in New Spain were shaped by the memorials of liberal, enlightened Bishop-elect of Michoacán, Manuel Abad y Queipo, who personally presented Humboldt with his printed memorials to the Spanish crown critiquing social and economic conditions and his recommendations for eliminating them. During his lifetime Humboldt became one of the most famous men in Europe. Academies, both native and foreign, were eager to elect him to their membership, the first being The American Philosophical Society in Philadelphia, which he visited at the tail end of his travel through the Americas. He was elected to the Prussian Academy of Sciences in 1805. Over the years other learned societies in the U.S. elected him a member, including the American Antiquarian Society (Worcester, MA) in 1816; the New York Historical Society in 1820; a Foreign Honorary Member of the American Academy of Arts and Sciences in 1822.; the American Ethnological Society (New York) in 143; and the American Geographical and Statistical Society, (New York) in 1856. He was elected a foreign member of the Royal Swedish Academy of Sciences in 1810. The Royal Society, whose president Sir Joseph Banks had aided Humboldt as a young man, now welcomed him as a foreign member. On 12 May 1827, he settled permanently in Berlin, where his first efforts were directed towards the furtherance of the science of terrestrial magnetism. In 1827, he began giving public lectures in Berlin, which became the basis for his last major publication, Kosmos (1845–62). Between May and November 1829, he and the growing expedition traversed the wide expanse of the Russian empire from the Neva to the Yenesei, accomplishing in twenty-five weeks a distance of 9,614 miles (15,472 km). Humboldt and the expedition party traveled by coach on well maintained roads, with rapid progress being made because of changes of horses at way stations. The party had grown, with Johann Seifert, who was a huntsman and collector of animal specimens; a Russian mining official; Count Adolphe Polier, one of Humboldt's friends from Paris; a cook; plus a contingent of Cossacks for security. Three carriages were filled with people, supplies, and scientific instruments. For Humboldt's magnetic readings to be accurate, they carried an iron-free tent. This expedition was unlike his Spanish American travels with Bonpland, with the two alone and sometimes accompanied by local guides. The other two translations were made by Mrs. Sabine under the superintendence of her husband Col. Edward Sabine (4 volumes 1846–1858), and by Miss E.C. Otté (5 volumes 1849–1858, the only complete translation of the 4 German volumes). These three translations were also published in the United States. The numbering of the volumes differs between the German and the English editions. Volume 3 of the German edition corresponds to the volumes 3 and 4 of the English translation, as the German volume appeared in 2 parts in 1850 and 1851. Volume 5 of the German edition was not translated until 1981, again by a woman. Miss Otté's translation benefited from a detailed table of contents, and an index for every volume; of the German edition only volumes 4 and 5 had (extremely short) tables of contents, and the index to the whole work only appeared with volume 5 in 1862. Less well known in Germany is the atlas belonging to the German edition of the Cosmos "Berghaus' Physikalischer Atlas", better known as the pirated version by Traugott Bromme under the title "Atlas zu Alexander von Humboldt's Kosmos" (Stuttgart 1861). During Humboldt's time in Paris, he met in 1818 the young and brilliant Peruvian student of the Royal Mining School of Paris, Mariano Eduardo de Rivero y Ustariz. Subsequently Humboldt acted as a mentor of the career of this promising Peruvian scientist. Another recipient of Humboldt's aid was Louis Agassiz (1807–1873) was directly aided with needed cash from Humboldt, assistance in securing an academic position, and help with getting his research on zoology published. Agassiz sent him copies of his publications and went on to gain considerable scientific recognition as a professor at Harvard. Agassiz delivered an address to the Boston Society of Natural History in 1869, on the centenary of his patron's birth. When Humboldt was an elderly man, he aided another young scholar, Gotthold Eisenstein, a brilliant, young, Jewish mathematician in Berlin, for whom he obtained a small crown pension and nominated for the Academy of Science. Humboldt carried on correspondence with many and two volumes of letters to Karl August Varnhagen von Ense have been published. 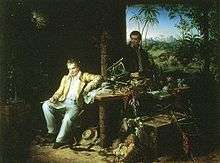 Charles Darwin made frequent reference to Humboldt's work in his Voyage of the Beagle, where Darwin described his own scientific exploration of the Americas. In one note, he placed Humboldt first on the "list of American travellers". 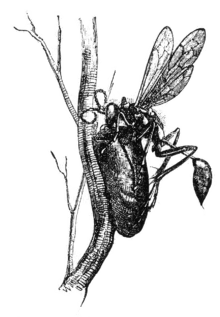 Darwin's work was influenced Humboldt's writing style as well, with his sister remarking to him "you had, probably from reading so much of Humboldt, got his phraseology and the kind of flower French expressions he uses." When this Journal was published, Darwin sent a copy to Humboldt, who responded "You told me in your kind letter that, when you were young, the manner in which I studied and depicted nature in the torrid zones contributed toward exciting in you the ardour and desire to travel in distant lands. Considering the importance of your work, Sir, this may be the greatest success that my humble work could bring. "(Needs ref) In his autobiography, Darwin recalled reading "with care and profound interest Humboldt's Personal Narrative" and finding it one of the two most influential books on his work, which had "stirred up in me a burning zeal to add even the most humble contribution to the noble structure of Natural Science." Humboldt would later to reveal to Darwin in the 1840s that he had been a fan of Darwin's grandfather's poetry. Erasmus Darwin had published the poem Loves of the Plants in the early 1800s. Humboldt's praised the poem for combing nature and imagination, a theme that permeated Humboldt's own work. Frederic Edwin Church, The Heart of the Andes (1859). Ferdinand Bellermann. Llaneros (1843). Venezuela. ^ Achenbach, Kunst um Humboldt, cat. 96, p. 141. 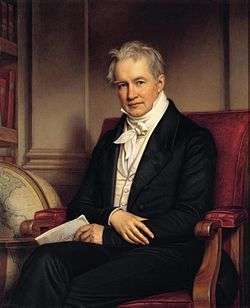 Between 1830 and 1848 Humboldt was frequently employed in diplomatic missions to the court of King Louis Philippe of France, with whom he always maintained the most cordial personal relations. Charles X of France had been overthrown, with Louis-Philippe of the house of Orléan becoming king. Humboldt knew the family, and he was sent by the Prussian monarch to Paris to report on events to his monarch. He spent three years in France, from 1830 to 1833. His friends François Arago and Guillaume Guizot, who were appointed to posts in Louis-Philippe's government. As a student he became infatuated with Wilhelm Gabriel Wegener, a theology student, penning a succession of letters expressing his "fervent love". At 25 he met Reinhardt von Haeften, a 21 year old lieutenant, with whom he lived and travelled with for two years, and to whom he wrote in 1794: "I only live through you, my good precious Reinhardt." When von Haeften became engaged, Humboldt begged to remain living with him and his wife: "Even if you must refuse me, treat me coldly with disdain, I should still want to be with you...the love I have for you is not just friendship or brotherly love, it is veneration"
Humboldt once wrote "I don't know sensual needs." However, a pious travelling companion, Francisco José de Caldas, accused him of frequenting houses in Quito where "impure love reigned", of making friends with "obscene dissolute youths", of giving vent to "shameful passions of his heart", and dropping him to travel with "Bonpland and his Adonis"[Monúfar]. On 24 February 1857, Humboldt suffered a minor stroke, which passed without perceptible symptoms. It was not until the winter of 1858–1859 that his strength began to decline; on 6 May 1859, he died peacefully in Berlin, aged 89. His last words were reported to be "How glorious these sunbeams are! They seem to call Earth to the Heavens!" His remains were conveyed in state through the streets of Berlin, in a hearse drawn by six horses. Royal chamberlains led the cortege, each charged with carrying a pillow with Humboldt's medals and other decorations of honor. Humboldt's extended family, descendants of his brother Wilhelm, walked in the procession. Humboldt's coffin was received by the prince-regent at the door of the cathedral. He was interred at the family resting-place at Tegel, along side his brother Wilhelm and sister-in-law Caroline. The honours which had been showered on Humboldt during life continued after his death. The first centenary of Humboldt's birth was celebrated on 14 September 1869, with great enthusiasm in both the New and Old Worlds. 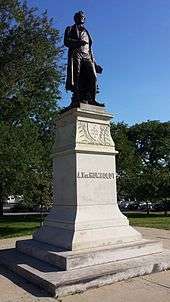 Numerous monuments were constructed in his honour, such as Humboldt Park in Chicago, planned that year and constructed shortly after the Chicago fire. Newly explored regions and species named after Humboldt, as discussed below, also stand as a measure of his wide fame and popularity. 1850: Knight Grand Cross in the Order of Saints Maurice and Lazarus. 1 2 Humboldt attended Schelling's lectures at the University of Berlin (Schelling taught there 1841–1845), but never accepted his natural philosophy (see "Friedrich Wilhelm Joseph Schelling - Biography" at egs.edu, Lara Ostaric, Interpreting Schelling: Critical Essays, Cambridge University Press, 2014, p. 218, and Rupke 2008, p. 116). ↑ M. Nicolson, "Alexander von Humboldt and the Geography of Vegetation," in: A. Cunningham and N. Jardine (eds. ), Romanticism and the Sciences, Cambridge University Press, 1990, pp. 169–188; Michael Dettelbach, "Romanticism and Resistance: Humboldt and "German" Natural Philosophy in Natural Philosophy in Napoleonic France," in: Robert M. Brain, Robert S. Cohen, Ole Knudsen (eds. ), Hans Christian Ørsted and the Romantic Legacy in Science: Ideas, Disciplines, Practices, Springer, 2007; Maurizio Esposito, Romantic Biology, 1890–1945, Routledge, 2015, p. 31. ↑ Love, J.J. (2008). "Magnetic monitoring of Earth and space" (PDF). Physics Today. February: 31–37. doi:10.1063/1.2883907. Retrieved 29 June 2015. ↑ Helmut de Terra, Humboldt: The Life and Times of Alexander von Humboldt, 1769-1859. New York: Alfred A. Knopf 1955, p.3. ↑ Terra, Humboldt, pp. 4-5. ↑ Terra, Humboldt, pp. 6–7. ↑ Malcolm Nicolson, "Historical Introduction", Personal Narrative of a Journey to the Equinoctial Regions of the New Continent by Alexander von Humboldt. London: Penguin Books 1995, p. xvi. ↑ Andrea Wulf, The Invention of Nature: Alexander von Humboldt's New World. New York: Alfred A. Knopf 2015, p. 13, 17. ↑ Wulf, The Invention of Nature, p. 17. 1 2 Wulf, The Invention of Nature, p. 18. ↑ Nicolson, "Historical Introduction" pp. xvi-xv. ↑ Nicolson, "Historical Introduction", p. xv. ↑ Wulf, The Invention of Nature, pp. 76, 136. 1 2 De Terra, Humboldt, p. 51. 1 2 De Terra, Humboldt, p. 53. ↑ De Terra, Humboldt, pp. 54-55. ↑ De Terra, Humboldt, pp. 18, 57. ↑ Wulf, The Invention of Nature, p. 39. ↑ Carl Freiesleben quoted in Wulf, The Invention of Nature, p. 39. ↑ De Terra, Alexander von Humboldt, p. 80. 1 2 3 De Terra, Alexander von Humboldt, p. 83. ↑ D.A. Brading, The First America: The Spanish Monarchy, Creole Patriots, and the Liberal State, 1492-1867. Cambridge: Cambridge University Press 1991, p. 517. ↑ Daniela Bleichmar, Visible Empire: Botanical Expeditions & Visual Culture in the Hispanic Enlightenment. Chicago: University of Chicago Press 2014, p. 5. ↑ Bleichmar, Visible Empire, p. 19. ↑ Casimiro Gómez Ortega, Instrucción sobre el modo más seguro y económico de transportar plantas vivas por mar y tierra a los países más distantes ilustrada con láminas. Añadese el método de desacar las plants para formar herbarios (Madrid 1779). Biblioteca del Real Jardín Botánico, Madrid, cited in Bleichmar, Visible Empires, pp. 26-27. 1 2 Brading, The First America, p. 517. ↑ De Terra, Alexander von Humboldt, pp. 91-92. ↑ Brading, The First America, p. 518. ↑ De Terra, Alexander von Humboldt, pp. 232-33. ↑ Wulf, The Invention of Nature, pp. 62-63. Wulf's book includes a picture of the encounter (p. 63), she captions "The battle between horses and electric eels." ↑ Cited in Wulf, The Invention of Nature, p. 362, n. 62. ↑ De Terra, Alexander von Humboldt, pp. 116-17. ↑ Bleichmar, Visible Empire, p. 190. 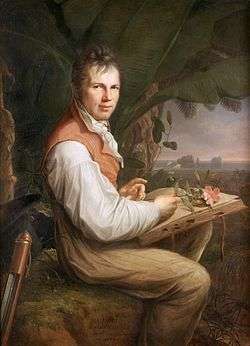 ↑ De Terra, Alexander von Humboldt, pp. 149–150. ↑ De Terra, Alexander von Humboldt, p. 156. 1 2 3 4 Brading, The First America, p. 527. ↑ Brading, The First America, pp. 526-27. ↑ Brading, The First America, p. 525. ↑ José Luis Lara Valdés, Bicentenario de Humboldt en Guanajuato (1803-2003). Guanajuato: Ediciones La Rana 2003. ↑ De Terra, Alexander von Humboldt, pp. 51, 156. ↑ Brading, The First America, p. 523. ↑ Brading, The First America, pp. 523-525. ↑ Political Essay on the Kingdom of New Spain, (four volumes) translator John Black, London/Edinburgh: Longman, Hurst, Rees Orme and brown; and H. Colborn and W. Blackwood, and Brown and Crombie, Ediburgh 1811. ↑ Schwarz, Ingo (2001-01-01). "Alexander von Humboldt's Visit to Washington and Philadelphia, His Friendship with Jefferson, and His Fascination with the United States". Northeastern Naturalist 8: 43–56. ↑ De Terra, Alexander von Humboldt, pp. 175-76. ↑ Helferich, Gerard. Humboldt's Cosmos (New York: Gotham Books, 2005), p. 25. ↑ Wulf, The Invention of Nature, p.89. This publication includes Humboldt's first sketch of the Naturgemälde. ↑ De Terra, Alexander von Humboldt, p. 380. ↑ De Terra, Alexander von Humboldt, pp. 375-76. ↑ De Terra, Humboldt, pp. 177-78. ↑ De Terra, Alexander von Humboldt, p. 204. ↑ De Terra, Alexander von Humboldt, p. 377. ↑ Wulf, The Invention of Nature, p. 166. ↑ Nichols, Sandra. "Why Was Humboldt Forgotten in the United States?" Geographical Review 96, no. 3 (July 2006): 399-415. Accessed July 4, 2016. ↑ Wulf, The Invention of Nature pp. 171-74, 199-200. ↑ Wulf, The Invention of Nature, pp. 199-200. ↑ De Terra, Alexander von Humboldt, pp. 283-85. ↑ De Terra, Alexander von Humboldt, p. 287. ↑ Humboldt to Cancrin, quoted in De Terra, Alexander von Humboldt, p. 286. ↑ Wulf, The Invention of Nature, pp. 201-202. ↑ Wulf, The Invention of Nature, p. 205. ↑ Wulf, The Invention of Nature, pp. 206-07. ↑ quoted in Wulf, The Invention of Nature, p. 207. ↑ Wulf, Invention of Nature, p. 203. ↑ De Terra, Humboldt, p. 306. ↑ quoted in De Terra, Humboldt, p. 307. ↑ Wulf, The Invention of Nature, p. 433. 1 2 Wulf, The Invention of Nature, p. 235. ↑ Brading, The First America, p. 534. ↑ Wulf, The Invention of Nature, p. 272. ↑ De Terra, Humboldt, pp. 326-27. ↑ De Terra, Humboldt, pp. 334-36. ↑ Wulf, The Invention of Nature, chapters 17, 19, 21, 22, 23. ↑ Wulf, The Invention of Nature, p. 226. ↑ Wulf, The Invention of Nature, p. 37. ↑ Wulf, The Invention of Nature, caption, [plate 11]. ↑ De Terra, Alexander von Humboldt, p. 210. ↑ De Terra, Alexander von Humboldt, p. 311. ↑ Sachs, Aaron. 2007. 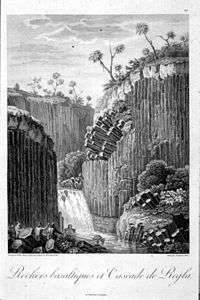 The Humboldt Current: Nineteenth-Century Exploration and the Roots of American Environmentalism. 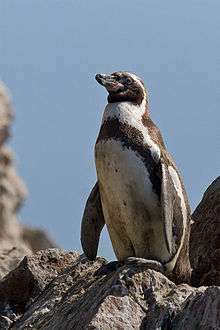 Penguin. (See the section "Notes", p. 29. ↑ De Terra, Alexander von Humboldt, p.363. ↑ Helferich, Gerard (2004). 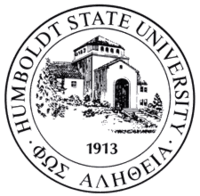 Humboldt Cosmos. p. 312. ↑ De Terra, Alexander von Humboldt, p. 317. ↑ quoted in Wulf, The Invention of Nature, p. 279. ↑ De Terra, Humboldt, pp. 368-69. ↑ Wulf, The Invention of Nature, p. 413. 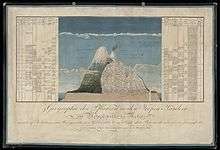 ↑ De Terra,Alexander von Humboldt, Appendix D. "List of Geographic Features Named after Alexander von Humboldt," pp. 377-78. Rich, Nathaniel, "The Very Great Alexander von Humboldt" (review of Andrea Wulf, The Invention of Nature: Alexander von Humboldt's New World, Knopf, 2015, 473 pp., and Jedediah Purdy, After Nature: A Politics for the Anthropocene, Harvard University Press, 2015, 326 pp. ), The New York Review of Books, vol. LXII, no. 16 (22 October 2015), pp. 37–39. This article incorporates text from a publication now in the public domain: Chisholm, Hugh, ed. (1911). "Humboldt, Friedrich Heinrich Alexander von". Encyclopædia Britannica (11th ed.). Cambridge University Press. Douglas Botting. Humboldt and the Cosmos. New York: Harper & Row Publishers 1973. D.A. Brading, The First America: The Spanish Monarchy, Creole Patriots, and the Liberal State 1492-1867, Chapter 23, "Scientific Traveller." Cambridge: Cambridge University Press 1991. E. R. Brann, The Political Ideas of Alexander von Humboldt: A Brief Preliminary Study. Madison, Wisc. : Little Printing Co. 1954. Jorge Cañizares-Esguerra, "How Derivative was Humboldt?" In Colonial Botany: Science, Commerce, and Politics in the Early Modern World, edited by Londa Schiebinger and Claudia Swan, 148-65. Philadelphia: University of Pennsylvania Press 2005. Helmut de Terra. Humboldt: The Life and Times of Alexander von Humboldt, 1769-1859. New York: Alfred A. Knopf 1955. Michael Dettlebach, "Humboldtian Science." In Cultures of Natural History, edited by Nicholas Jardin, J.A. Secord, and Emma C. Spary, 287-304. Cambridge: Cambridge University Press 1996. Anne Godlewska,, "From Enlightenment Vision to Modern Science? Humboldt's Visual Thinking." In Geography and Enlightenment, edited by David N. Livingstone and Charles W. J. Withers, 236-75. Chicago: University of Chicago Press 1999. L. Kellner. 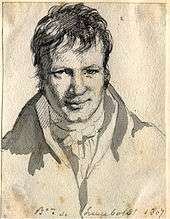 Alexander von Humboldt. New York: Oxford University Press 1963. Ursula Klein. Humboldts Preußen. Wissenschaft und Technik im Aufbruch. Darmstadt: Wissenschaftliche Buchgesellschaft 2015. Gerard Helferich. Humboldt's Cosmos: Alexander von Humboldt and the Latin American Journey that Changed the World. New York: Gotham Books, 2004. William Macgillivray. The travels and researches of Alexander von Humboldt by W. Macgillivray; with a narrative of Humboldt's most recent researches New York: J & J Harper 1833. David McCullough. Brave Companions: Portraits in History, Chapter 1, "[Humboldt's] Journey to the Top of the World" New York: Prentice Hall Press, 1992. José Miranda, Humboldt y México. Mexico City: Instituto de Historia, Universidad Nacional Autónoma de México 1962. Halina Nelken. 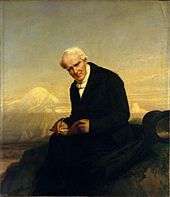 Alexander von Humboldt. His Portraits and their Artists. A Documentary Iconography. Berlin: Dietrich Reimer Verlag 1980. HiN-International Review for Humboldtian Studies Biannual open access journal on transdisciplinary studies concerning Alexander von Humboldt (ISSN 1617-5239). With articles in English, German and Spanish, both as HTML and PDF. A project by the Chair of Romance Literatures, University of Potsdam, and the Berlin-Brandenburgian Academy of Science.